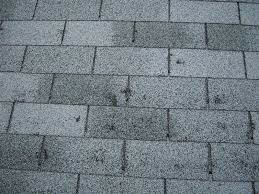 Home » Blog » Roofing » Are you living under a Hail Damaged Roof in Georgetown, KY? Is your roof in Georgetown, KY damaged by hail? It’s the same for all of us. We go about our lives working, playing and staying involved in the things we care to focus on. Sometimes it seems we fail to notice even the smallest of details. As we pull in the drive from a long days work everything visually looks the same as it did the day before. But is it really? Recently, we were assisting a client with a repair to a roof in Georgetown. Upon our initial investigation we noticed they had significant hail damage to their shingles. The homeowner had no idea that they had this type of damage. So we thought it would be helpful to inform other residents that it’s not too late to get the repairs for their home that they require. Last year’s hail storm back in October took it’s toll on homes in Georgetown. Contact us to receive a free certified hail damage inspection of your roof, siding, gutters and windows. At first you may choose to look at your windows and possibly dents in your vehicle. 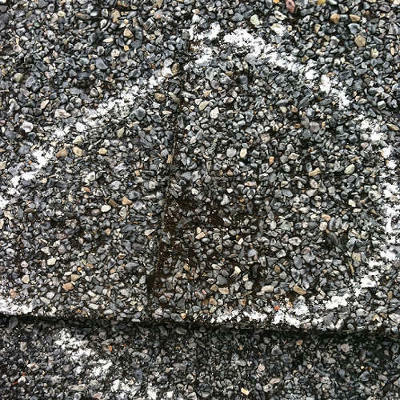 The one thing that’s not easy to assess are the problems you may have with your shingles. 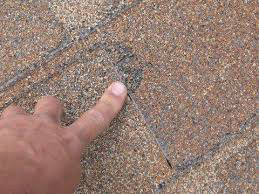 Hail storm damage can impact shingles in a way that destroys and removes the granules that are designed to protect your roof. It may loosen, crack or completely remove this material that will soon be deteriorated by the sun’s UV penetration. Long term affects can cause water to penetrate through your roof and into your home causing costly repairs. This can be avoided if it’s detected in time. Hail damage can sometimes be hard to spot and distinguish from the ground so we’ve enlarge this image as an example. We’ve helped countless homeowners get the repairs they deserve. Our process is uncomplicated and an affordable solution for repairing your roof. Whether you believe your home was affected or not it won’t cost you anything for us to take a look. Consider us for your hail storm roof repair in Georgetown, KY.